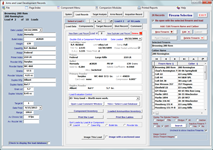 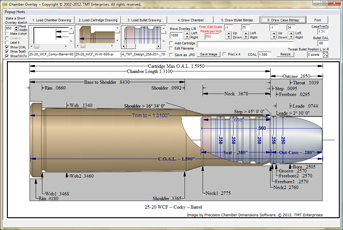 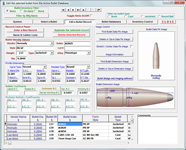 Precision Load Records is a firearm-specific record keeping system, designed to assist the reloader in developing accurate, reliable sporting ammunition reloads for all types of modern and historical firearms. 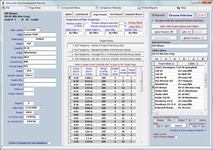 Personal firearm vital statistics such as barrel length, sighting configurations, chamber specifications, action types, weight and much more may be stored and easily retrieved. 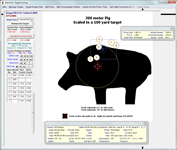 The Target Evaluation System effectively identifies components and procedures that produce the most accurate, efficient loads. 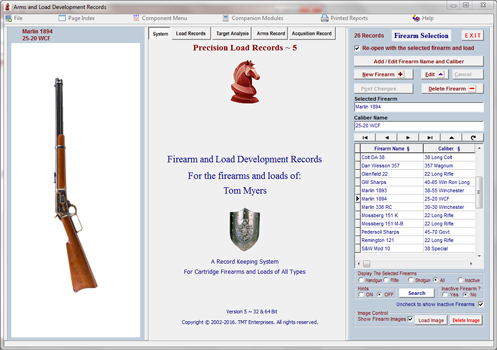 All load records may be recorded either as generic loads or keyed specifically to individual firearms. 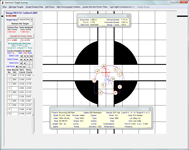 Targets, individual shot data and evaluation charts are keyed to individual firearms. 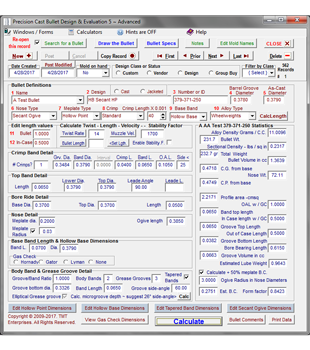 Extensive component databases are available that can be updated and retrieved for load development. 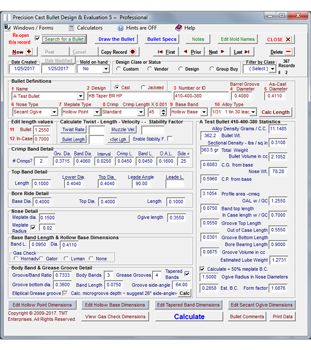 Cast bullets, gas checks , jacketed bullets, and cartridge case dimensions along with primer manufactureres and index numbers, extensive powder manufacturers, types, burn rates and index number listings are all just a mouse-click away. 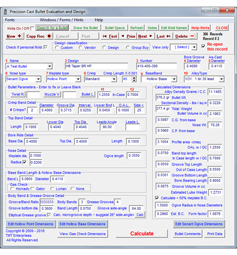 A complete, automatically updated inventory system is available of all reloading components. 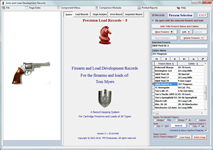 An imaging system is available for all firearms, cartridge and bullet identification purposes.